WTB has multiple openings for new board members which we're looking to fill this spring. If you're interested in applying, please send an e-mail to Joe Maiella at josephmaiella@gmail.com by May 15, 2019. Please include your qualifications and reasons for your interest in the e-mail. We're looking forward to planning our 2019-2020 season! We are very excited to announce the launch of the new unified Wilmington Travel Basketball (WTB). 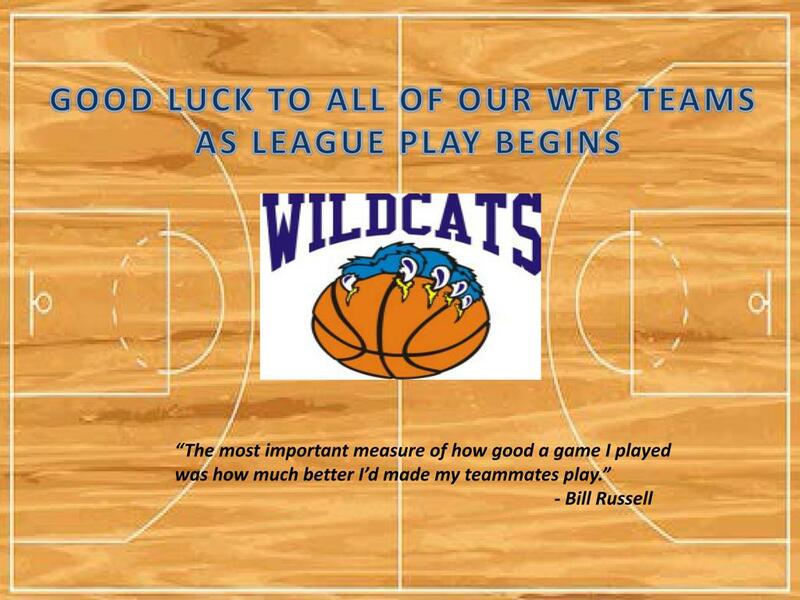 The new WTB will manage all of Wilmington’s youth travel basketball programs of play and will be affiliated with both the River Valley League and the Merrimack Valley League. Wilmington Travel Basketball, Inc. (WTB) is a 501(c)(3) nonprofit corporation whose mission is to promote the sport of basketball in a positive and enriching way among the youth of Wilmington. - Aligning under a single mission statement offers the ability to offer a cohesive vision and philosophy for the Travel Basketball community. - Adopting a singular player development model ensures all youth players have an opportunity to grow and develop their skills to the highest level through a well-defined age-based, systematic approach. - Moving to a unified shared services model approach for registration, coach training, equipment ordering, player evaluations and team formations, court allocation, community events, marketing and communications, fundraising, professional team training and professional-led clinics and camp offerings will remove the duplication and will greatly simplify the overall experience for parents. For announcements, we will be primarily using our website www.wilmbtb.org for all youth travel basketball announcements such as registration dates, important announcements and travel program information. We are also available on our facebook page @ https://www.facebook.com/wilmtb/ . We are excited about moving forward together in our collaboration around our players and community. If you have any questions about the new organization, please feel to contact us via email at info@wilmbtb.org.